Polymer modified white mortar for filling & fissures both internally & externally. Repairing of cracks in internal & external plaster & to give a thin render coat to even outer surface. 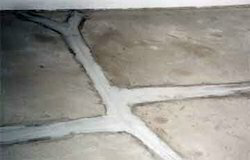 Conpolycem is a one component cementitious, fiber reinforced, polymer modified one component repair mortar. DURALEVEL 10 is a thixotropic, two-pack polymer modified patching and adhesive mortar (paste), filling compound for protecting and repairing concrete and metal surfaces. DURALEVEL 10 is intendedfor thinner layer application. Leveraging on our enormous business competency and huge info of this field, we have brought forth a vast gamut of UltraTech Super Stucco Polymer Modified Mortar. 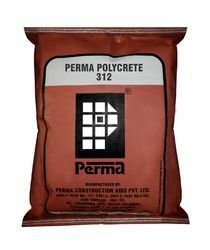 We are a unique name in the industry to provide our precious clients the best quality Polymer Modified Mortar of Fosroc Chemical i.e Renderoc SP40, Renderoc FC etc. In order to keep pace with never ending demands of clients, our company offers Polymer-Modified Mortar. - Floor screed and topping.